We represent landlords in eviction appeals cases in the Greater Houston area, including Harris County, Fort Bend County, Montgomery County, and Brazoria County. Tenants and landlords may appeal a final judgment obtained from a Justice Court to a County Court at Law by filing a bond, making a cash deposit, or filing with the Justice Court a sworn statement of inability to pay, commonly known as a “Pauper’s Affidavit.” In short, the court’s case file is physically transferred and the landlord must again prove its case; but this time using the Texas Rules of Procedure and Evidence. Appear in county court and examine witnesses at the trial to obtain a Final Judgment awarding possession, damages, attorneys’ fees and costs. 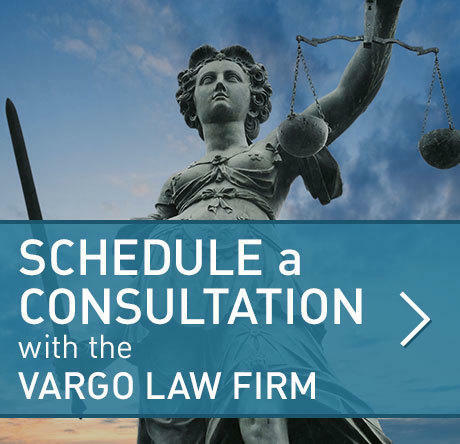 The Vargo Law Firm will also perform the above services on a non-monetary default case, but cannot offer a flat fee because it is not an “open and shut” case and requires a trial Cases where a tenant breaches their lease by doing something other than failing to pay rent will be handled on an hourly basis. The below questions and answers are informational and not a substitute for legal advice from a licensed attorney. The facts of every eviction case are different and you should seek legal counsel if you want to ensure legal compliance. 1. How do I evict my tenant? In Texas, a landlord evicts a tenant by filing a “forcible entry and detainer” lawsuit in a justice court, also called a “JP” court. The lawsuit must be filed in the precinct where the property is located. Before filing a lawsuit, a landlord must provide a notice to vacate and ensure they deliver according to the Texas Property Code. Please visit the Resource Center for links that will help you evict a tenant from a property located in Harris County, Brazoria County, Fort Bend County, Galveston County, and Montgomery County. 2. What is the difference between an eviction and forcible entry and detainer suit in Houston? There is no difference. A forcible entry and detainer is the language used by the Texas Property Code and lawyers who practice in the area of law. Most non-lawyers use the word eviction. 3. Can I evict an occupant even though I don’t have a lease with them? Yes. If someone is occupying your property without a written lease, they have no legal right to stay in the property. A landlord in Houston should file an eviction if the occupant(s) will not leave voluntarily. Special attention should be paid to Texas Property Code Section 91.001 to ensure that the proper notice is given. 4. What, if anything, does a landlord need to do before filing an eviction suit? A landlord must provide a written notice to vacate. If the occupant is a tenant and under a written lease or oral rental agreement, the landlord must give the tenant three (3) days written notice to vacate the premises before the landlord files an eviction suit. 5. How does a landlord need to deliver the notice to vacate? The Texas Property Code requires a notice to vacate to be delivered to the occupant in person or by mail at the premises in question. Notice in person is to the occupant or anyone over 16 years old at the premises. The notice can also be affixed to the inside of the front door. Though the Property expressly allows a notice to be delivered via regular mail, most justice courts throughout the Houston area expect landlords to prove delivery through a certified mail receipt. 6. How far in advance do I need to need to give my tenant a written notice to vacate the property before filing an eviction lawsuit? The answer to this question depends on why the landlord seeks to evict the tenant. For example, if it is for failing to pay rent, the answer is three (3) days. However, if the tenant breaches another provision in the lease or the landlord wants to evict for another reason, it could be as many as thirty (30) days. Please visit the Resource Center for links that will help you evict a tenant from a property located in Harris County, Brazoria County, Fort Bend County, Galveston County, and Montgomery County. 7. What do I do if my tenant requests or demands a jury trial? A tenant has a right to a jury, if they request one in advance and provide proper notice to the court and parties. An eviction attorney that regularly practices in the Houston area may be able to save you time and heartburn and avoid a jury. 8. Can a landlord get a judgment for damages and possession in the same case? Yes. The Texas Property Code allows landlord to collect unpaid rent in the same eviction lawsuit where they seek to regain possession from the Tenant. 9. Can a landlord lock out a residential tenant for failing to pay rent? No, the Texas Property Code protects tenants are requires due process through the court system to ensure that someone is not wrongfully displaced from their home. 10. Can a landlord lock out a commercial tenant for failing to pay rent? Yes, so long as the signed lease agreement expressly allows the landlord to do so. In general, the Texas Property Code empowers commercial landlords and protects residential tenants because of the interests involved. 11. How can a tenant win an eviction suit? A landlord must follow very strict guidelines to evict a tenant. Tenants can prevail by proving: defective notice, oral notice, eviction suit filed too soon, notice unclear, improper delivery, premature notice to vacate, failure to provide opportunity to cure and substantive defects such as waiver, retaliation, discrimination, or that landlord caused tenants default. 12. What is a Pauper’s Affidavit? A pauper’s affidavit is a way for a tenant to get out of paying for the “costs” associated with an eviction appeal. However, even Pauper’s must pay the bond set by the Justice of the Peace. 13. What is an appeal bond? An appeal bond is an amount of money that a Justice of the Peace orders a tenant to pay during the pendency of an eviction appeal. 14. What can a landlord do if a tenant fails to pay the appeal bond in a nonpayment of rent case? A landlord or their attorney can file a 749b motion to gain immediate possession of the premises. This may or may not be in the landlord’s best interest because the appeal is not over. 15. Can a non-lawyer represent a landlord in Justice Court? Yes, the Texas Property Code expressly allows non-lawyers to represent landlords at eviction proceedings before a Justice of the Peace. 16. Can a non-lawyer represent a landlord in a County Court at Law on appeal? No. Only lawyers can appear on behalf of landlords in a County Court at Law. Representing or acting on behalf of another before a County Court at Law is considered the practice of law requiring a license. 17. 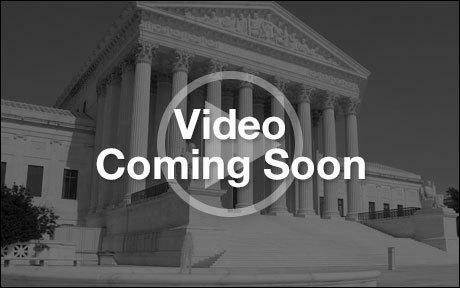 Can a non-lawyer represent themselves in a County Court at Law on appeal? Possibly. Only a non-lawyer who owns title to the property exclusively in their individual name can appear without an attorney in a County Court at Law appeal proceeding. All business entities must be represented by a licensed Texas attorney.